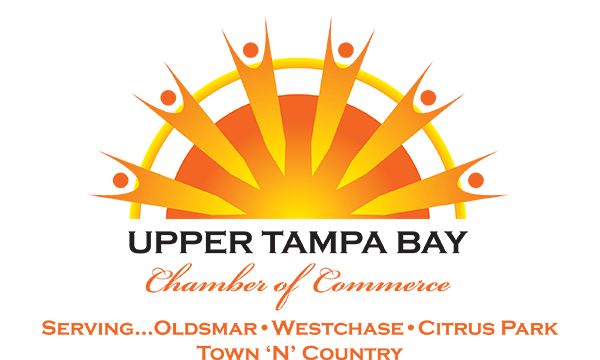 Chamber meetings, mixers, trade shows, committees and special events can dramatically increase the visibility of your business, products and services, by providing opportunities for you to network with other business owners and managers in the Upper Tampa Bay area. Morning Coffee Mingles are held the first Wednesday of each month at alternating locations from 7:30AM to 9:00AM. This event is FREE but reservations are requested to help our hosts ensure they are properly prepared with their FREE continental breakfast. Great opportunity to meet new people and start the relationship building process in a relaxed atmosphere. For more information or to request to be a coffee mingle “host” please email Mark Howe or call him at (813) 855-4233. For locations and reservations, please visit our online calendar. Quarterly Business Luncheons are held the second Wednesday of February, May, August and November. The luncheons are all themed. In February we are offering a speed networking lunch to get your engines revved up from the start. In May we will honor our citizens of the year as well as install the chamber Board of Directors. Our annual Legislative Lunch will continue in the August timeslot. We will close the year in November by honoring our businesses of the year. All lunches will be scheduled between 11:30AM and 1:00PM. For locations and reservations, please visit our online calendar. Business After Hours Mixers are the third Wednesday of each month at alternating member businesses within the Upper Tampa Bay Region and offer you a chance to meet fellow business owners, exchange business cards, relax with ‘happy hour’ refreshments and hors d’ oeuvres, and promote your business one-on-one to fellow Chamber members. For locations and reservations, please visit our online calendar. Relationship Builders is a networking event that takes place every other Friday at Aston Gardens of Tampa Bay from 7:30 to 9:00 am. This event is specifically designed so that members can; educate fellow chamber members about their products/services so that they can be a source of referrals, have a safe place to practice their 60 second commercials (elevator speeches) and longer presentations AND get timely feedback and reinforcement from fellow members and have a place to ask other local business professionals about your own key prospects so that introdcutions and/or connections can occur. Connect with Jerry Peruzzi for more details. Special events like Oldsmar Days & Nights, Oktoberfest, Expos and more are outstanding opportunities to meet and network and build relationships with business owners, community leaders and the general public. Many of these events offer local businesses an opportunity for additional visibility through event sponsorship. To find out what sponsorship opportunities are available or to volunteer to join one of our event committees, email Mark Howe or call him at (813) 855-4233. For special event times, locations and reservations, please visit our online calendar. For more information on how to get involved with our activities as an event committee member, be an event sponsor or get more information, please email Mark Howe or call him at (813) 855-4233.